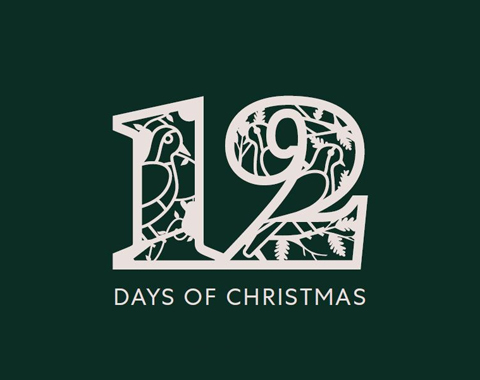 We are delighted to announce that Spinningfields’ 12 Days of Christmas themed giveaways launches on 1 December. There will be a new festive offer posted on our channels on every alternate day of December – offer details will be linked in the Ts&Cs below. Ts&Cs: 50 prizes available on 1 December. Simply pop by The Oast House on the 1 December, pick an envelope from the human-sized advent calendar situated on the courtyard and claim your free gift, whilst stocks last. Furthermore, every time a prize is claimed, The Oast House will donate a meal to Foodinate. The Oast House is open 12pm – 2am. Ts&Cs: 2-Day only burst offer. Receive a complimentary bottle of one of Ibérica’s specially selected wines for every 2 guests when dining at Ibérica Manchester on the 3rd or 4th December only. Guests must call the restaurant on 0161 358 1350 to reserve a booking for either the 3rd or 4th December and quote “12 Days of Christmas”. Maximum 30 bottles of Spanish wines are available to be redeemed on the dates specified. Minimum of 3 tapas per person must be ordered from the a la carte menu. The offer is valid for tables up to 8 guests and it applies only once per table. Offer is subjective to availability. Afternoon Tea for £20 at Hey Little Cupcake! Ts&Cs: 100 Free beers available to be claimed between 7 – 12 December at Scene between 4-6pm only. Max. 1 beer per person. To claim, a starter must be bought, and the social/web post shown. whilst stocks last, subject to availability. Minimum spend of £6.95/person. Ts&Cs: Visit The Alchemist in Spinningfields for 2-for-1 Pot of Gold Cocktails on 9 December only. Pot of Gold Cocktails are a mix of Tanqueray, Ruby Gin and Grapefruit with a golden pot of Passionfruit Jelly served on the side. Please ask in-store for Ts&Cs. Ts&Cs: One free bombardino drink per person. Valid on 11 December only at Bar Hütte on Spinningfields Square. Valid only when another drink has been purchased and the accompanying social media post on Spinningfields channels or website is shown to the bartender. Maximum 100 free bombardinos available. Offer is subject to availability. Pick up a a Winter Woodland family trail map from Bar Hütte on Spinningfields Square between 1-23 December, 11am – 11pm and follow the 12 directional clues to collect letters which once unscrambled will grant you a festive chocolate prize! Ts&Cs: Valid 15-23 December. Valid on gingerbread hot gin and tonic cocktails (£6.50), from 12pm to close. Ask in-store for more details. Subject to availability, whilst stocks last. Can be claimed only once per person. To claim, customer must show either Spinningfields’ Instagram, Twitter or Website Post to Beastro staff. Ts&Cs: Customers may receive 40% off their food bill when they book here. Valid only from 2 – 6 January 2019. Covers limited to 6 people/table. Offer can only be redeemed once. Offer not available on Friday and Saturday evenings. Offer not valid in conjunction with any other offer and excludes any set menu and lunch menu. Offer can only be claimed via the link above. Offer subject to availability. Ts&Cs: Offer valid only in January 2019. Subject to availability. To book, customers must call 0161 325 4444 and quote ’12 Days of Christmas, Spinningfields’. Further Ts&Cs will be explained by The Range staff when booking. Ts&Cs: Valid on Friday 21st December 2018 only. Offer is limited to 4 menu items per person. The offer is for food dishes only. Subject to availability. To claim, customers must show either the 12 Days of Spinningfields Tweet, Instagram or Web Post OR quote ’12 Days of Christmas’. Ts&Cs: Receive 20% off haircuts from Mr Male Grooming, Spinningfields before midday during Monday’s to Thursday’s during January 2019. To claim offer, customers must call 0161 834 1610 to book and quote ’12 days of Christmas’, as well as show either the web page, tweet or instagram post at the time of payment. Ts&Cs: Purchase any full price main course and receive a second main course for just £1 when you dine with Carluccio’s in Spinningfields during January. Not valid in conjunction with any other offer or when ordering from the breakfast menu or set menu. To claim offer, customers must sign up here to receive a voucher which will enter their email inbox an hour after they’ve signed up. Offer is subject to availability.